The maddening call to the LG customer hotline on Saturday morning left me with a bitter taste in my mouth. I vented it out on social media and felt much much better. No need to practise yoga. Bitching on social media is also a form of destressing…. I stuck the photo of the burnt hole on the LG Singapore Facebook page and on Monday I received a follow up message in my Facebook mailbox and then a phone call from them. Ok folks, ditch the hotline number. The service center is useless!!! Just go to the Facebook page!! Thank you Mark! For making a difference to our lives by starting Facebook! They sent a Korean specialist to my home today to check out the Fridge foc. 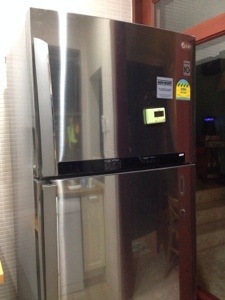 According to my Mom who was present (I was at work) the Korean was very “gan jiong” about the condition of the fridge and swore that it’s the first time it’s ever happened in the LG history. Gee! I must really go and buy 4d for this. So lucky ya! He called me up and apologised profusely and offered to loan us an LG fridge until my new one arrives on Thursday. According to him, they were bringing the fridge back and were arranging for a team of specialists to fly in from Korea to investigate this. What a vast difference in the attitudes! Compared to the laissez faire self righteous attitude of the LG customer hotline staff (backed by the various parties he consulted) this was indeed a 180° change. He promised to let me know the results of their investigation. The replacement fridge arrived in 2 hours. Pretty impressive turnaround time. Meanwhile they should look into their hotline staff’s attitude. A lot can be done to it. And yes, the hotline personnel pissed me off. Big time!! 小小宝贝 has finally sprouted 2 tiny teeth, after 12 months. He’s a late “teether” just like his sister, for his Mama (yours truly) was an even later “teether”. According to my parents, my first tooth sprouted when I was 2 years old. They were going to make dentures for me as they suspected that I would be going through life without teeth!! The good thing with having a late “teether”, especially when I’m breastfeeding him, I don’t get bitten. And the teeth start deteriorating later. 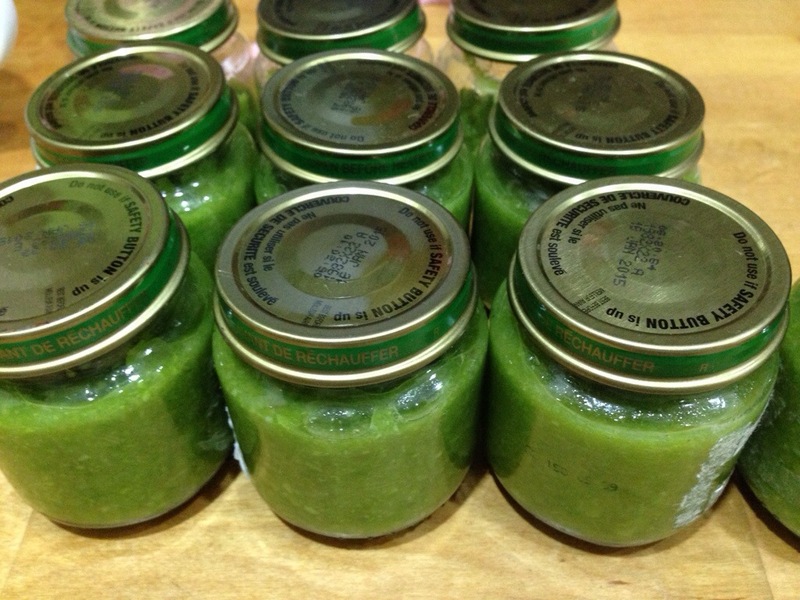 So I’m still putting him on purée diet although I’m now making his purée more chunky. And some soft fruits and vegetables like bananas, strawberries, pumpkins etc, he’s started to take bites out of them instead of being purée fed. And I’m expanding his food repertoire so that he gets to taste a wide variety of food in their natural form without mixing them together. Asparagus is low in calories and is very low in sodium. It is a good source of vitamin B6, calcium, magnesium and zinc, and a very good source of dietary fibre, protein, beta-carotene, vitamin C, vitamin E, vitamin K, thiamin, riboflavin, rutin, niacin, folic acid, iron, phosphorus, potassium, copper, manganese and selenium, as well as chromium, a trace mineral that enhances the ability of insulin to transport glucose from the bloodstream into cells. 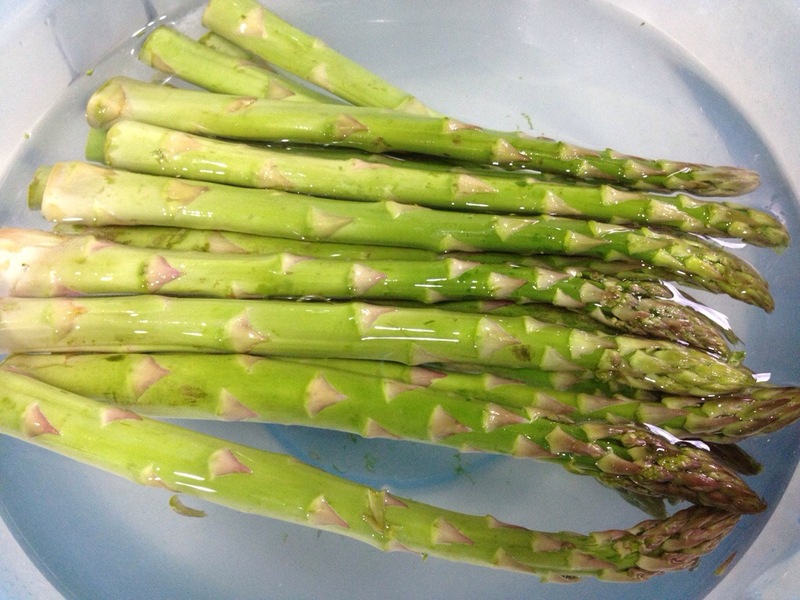 The amino acid asparagine gets its name from asparagus, as the asparagus plant is relatively rich in this compound. I chopped them up in small pieces. 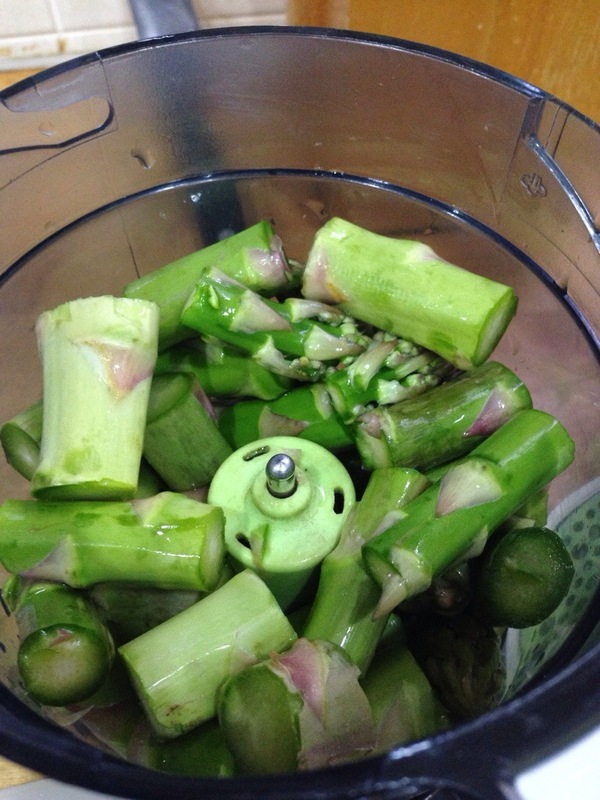 Steam them for 15 mins then blend. All yummy and ready for consumption!